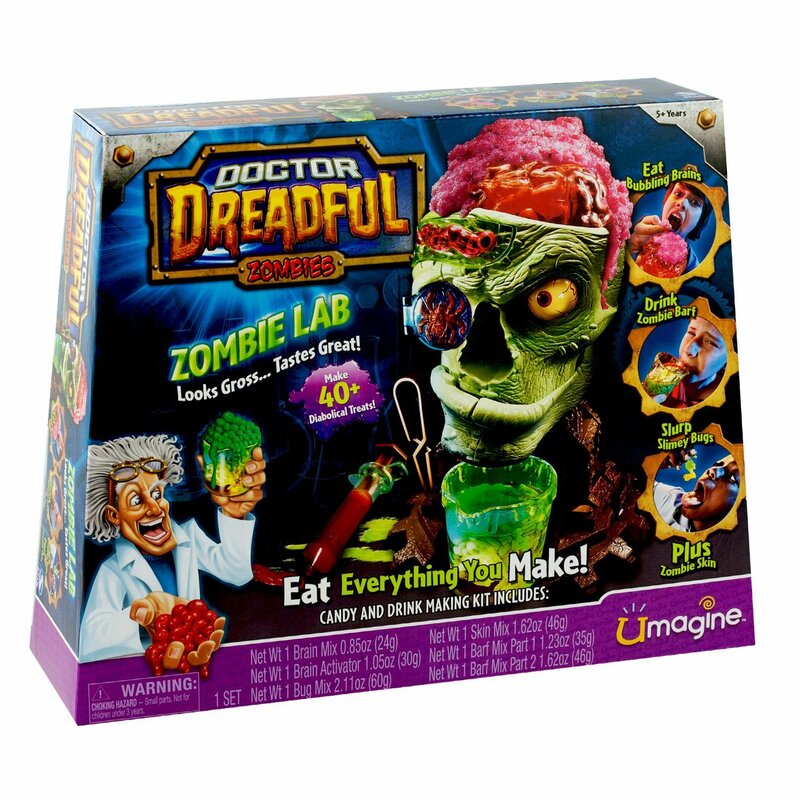 The ultimate in disturbingly delicious experiments, Doctor Dreadful’s Zombie Lab gives you more terribly tasty treats than ever! Whether brewing bubbly brains or zombie skins, you can eat everything you make. 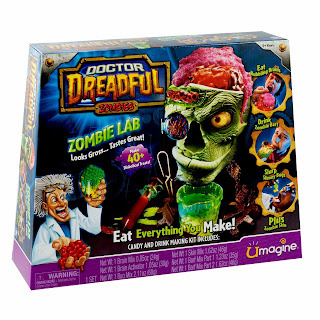 Inject spiders into eye sockets as you dare your friends to consume everything Doctor Dreadful’s Zombie Lab creates! Watch in horror as his jaw rips open and he pukes his brains out! Then wash your fear down with a delicious brain barf beverage! With real puking action this nauseating experience will certainly be one of the tastiest you’ve ever had! Create your own delicious treats! From WWindow. Looks yummy, my kids would love it.